flash flooding and feeling sorry for myself.. If you’re from the UK then I’m sure that you will have heard all about the flash flooding on Thursday. The Chronicle reported that almost ‘two weeks’ worth of rain fell in just an hour at one point’. 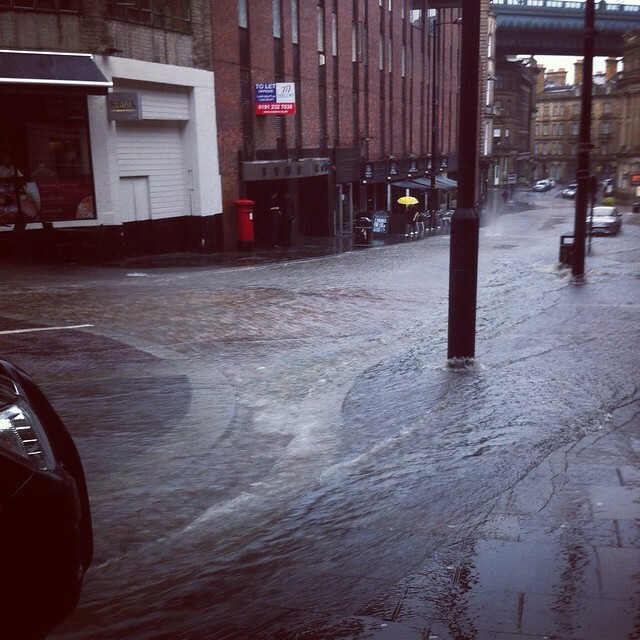 It was unlike anything I’ve ever seen before, and guess which numpty had to walk across the quayside in it? Imagine if you got into a bath full of smelly river water with all of your clothes on and you can just about get the picture. At one point I was trudging along the path in water that was above my ankles, wondering if I could really get any wetter. (Turns out I probably could have though looking at some of the other photos from across the region.) And of course now I am ill. Having got soaked through, I’m now completely full of cold and losing my voice.. brilliant. So I thought, since I’m off work and not really doing much, I’d share a little ‘feeling sorry for myself’ post. Now this is just between you and me, but when I’m feeling poorly (or for that matter if I’m on my day off or working from home), I always think it’s a bit daft wearing normal clothes. 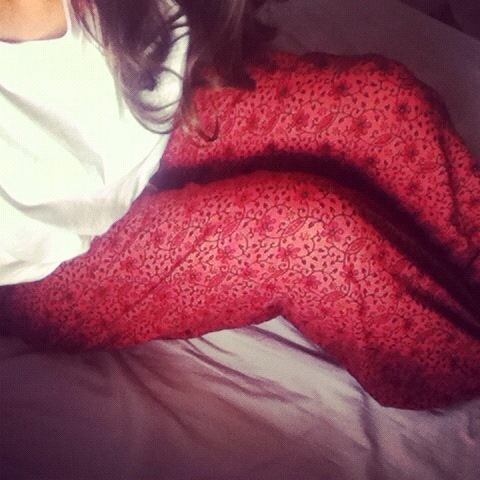 Usually on those sort of days I tend get up, get washed then instead of getting dressed, I then put on a pair of clean PJs… I like to think of them as indoor clothing.. is that wrong?? Anyway, so while I was in India, I ended up picking up a number of pairs of trousers which I’ve since substituted my PJs for. They’re so loose-fitting and comfy that they make the perfect thing to wear while lounging around.. or in my case feeling sorry for myself and sipping copious amounts of hot drinks in an attempt to regain my speech abilities while trying to write out a million more covering letters (yes, I want sympathy). Those of you who follow me on instagram will already know that my business cards arrived this week so I’m feeling all grown-up! 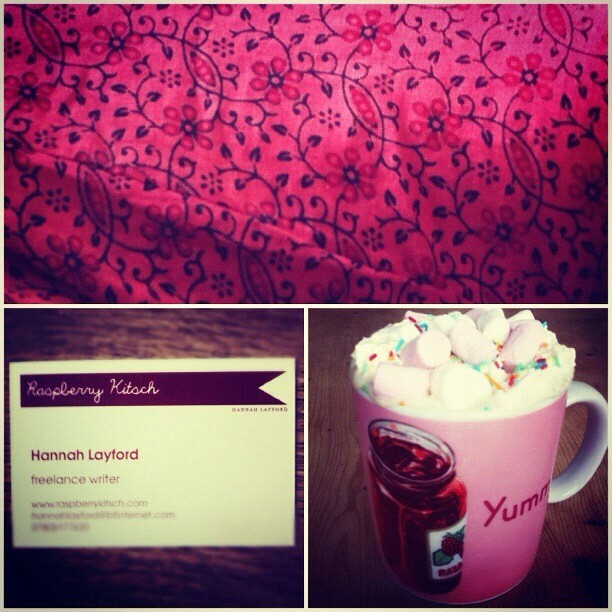 Anyway, if you’ll excuse me, I’ve made myself a Layford special hot chocolate (complete with marshmallows, cream and sprinkles) and I need to go back to writing..
Love the indian pjs! And OH MY GOSH the weather looks awful! I wish I'd taken some photos on Thursday, it really was unbelievable! Hope you feel better soon. it was awful, wasn't it? 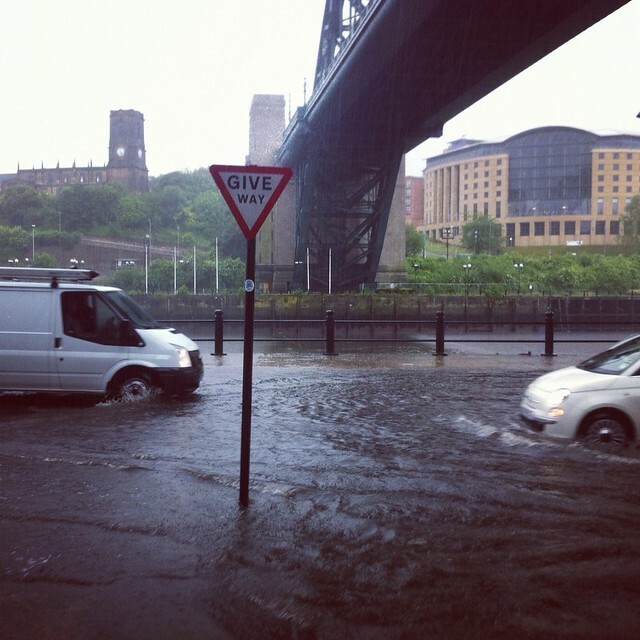 I couldn't believe the video of the Tyne bridge being struck! sorry for the late reply! I'm bloody rubbish and kept forgetting!! I'm so sorry to hear about the flooding, that's terrible. I hope everything has cleared up now, though feel free to still wear your lounge pants. I love comfy clothes on crappy days.